Consensus is not easy to come by when you’re talking about food. Here’s an exception. 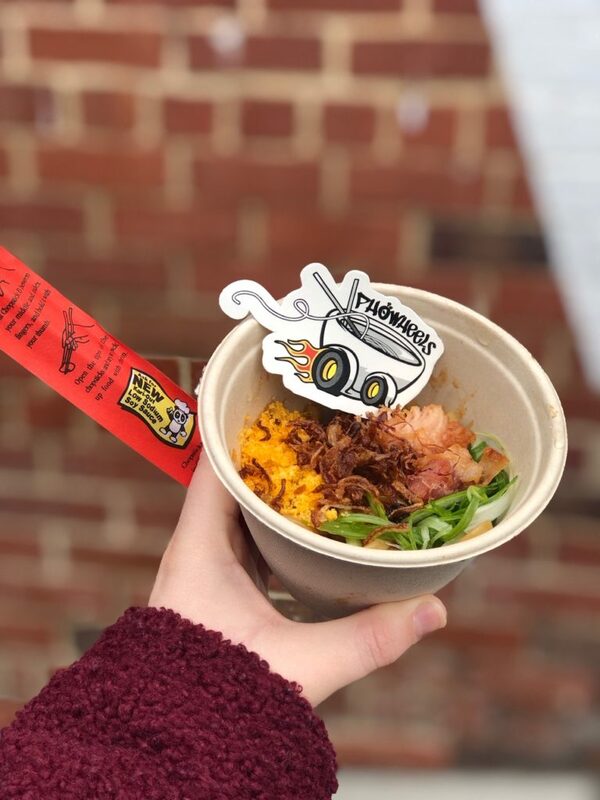 Attendees of Ramen World 5 wholeheartedly agree – based on my scientific analysis of Instagram posts- that an afternoon spent devouring oodles of ramen and other Asian-inspired delights induces a food coma. But it’s a welcome one. DC’s premiere food incubator last Sunday. They reveled in dishes and drinks from approximately 15 restaurants or purveyors. A portion of the proceeds from the event benefit the Capital Area Food Bank. This year netted a donation of nearly 1,000 meals and $1,500 in cash for this organization that works to fight hunger. Mess Hall founder and event organizer Al Goldberg says that each year participating chefs strive to make Ramen World the best. 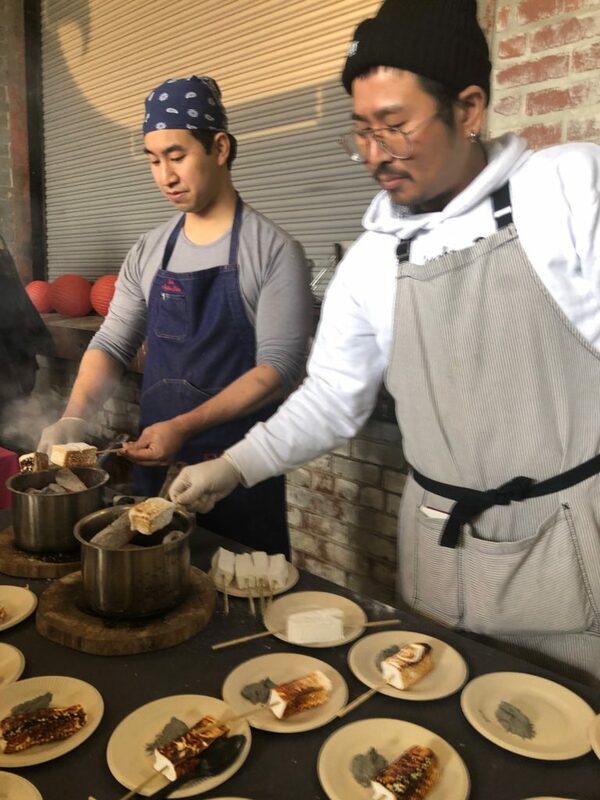 “Hosting at Mess Hall means the chefs can cook their food fresh, in front of guests, using the commercial restaurant equipment needed to create amazing ramen dishes. Compare that to the notion of chafing dishes full of overcooked, mushy noodles,” he notes. 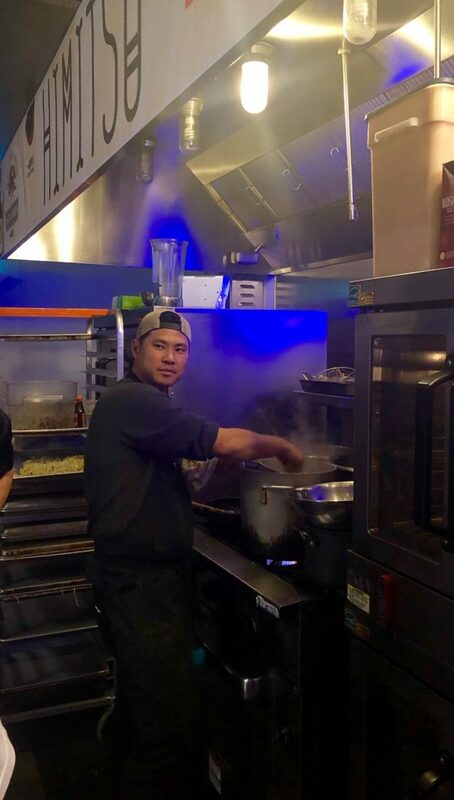 Sun Noodle, an event sponsor, makes all the noodles fresh to order, enabling each chef to choose from an array of noodle types. Goldberg imagines that savvy guests may have recognized they were enjoying six different types of noodles. “The chefs can really dial in their dishes with intention,” Goldberg says. Chef Katsuya Fukushima of Daikaya ordered custom ramen buns weeks before the event, which were overnighted to him from a factory in Hawaii. 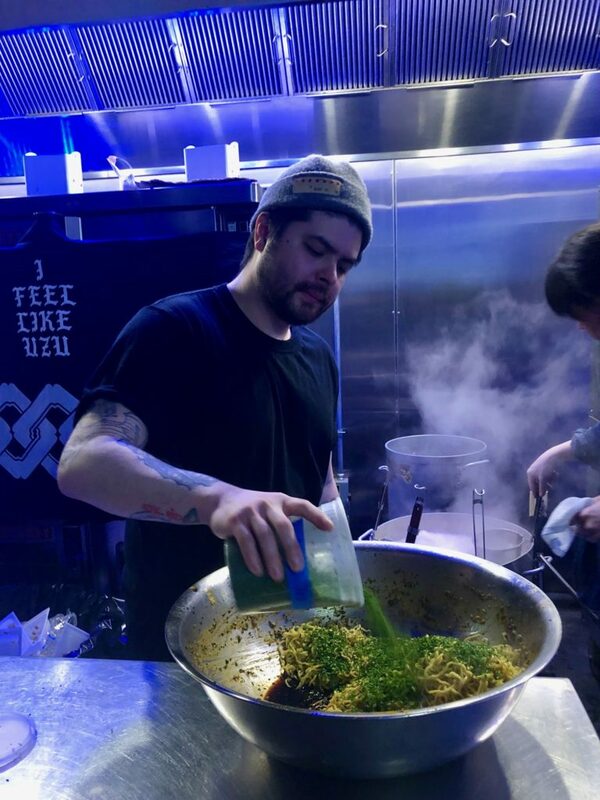 Chef Tom Cunanan of Bad Saint ordered ten different types of fresh noodles weeks before Ramen World, and experimented before deciding which would best compliment his Laksa dish. 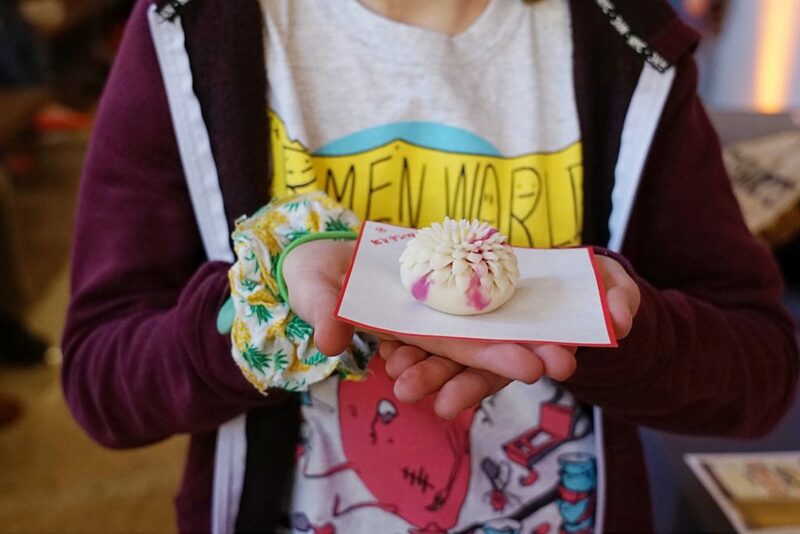 If you attended Ramen World 5, the recap of the participating chefs and their food may bring back fond memories. If you missed it, you won’t make the same mistake next year. 2019 James Beard Best Chef: Mid Atlantic Semi-Finalist! Daikaya – Chef Katsuya Fukushima and his team (also known for Bantam King, Haikan and the soon-to-open Hatoba) created a Ramen World original- Mcdowell’s filet-o-fish. 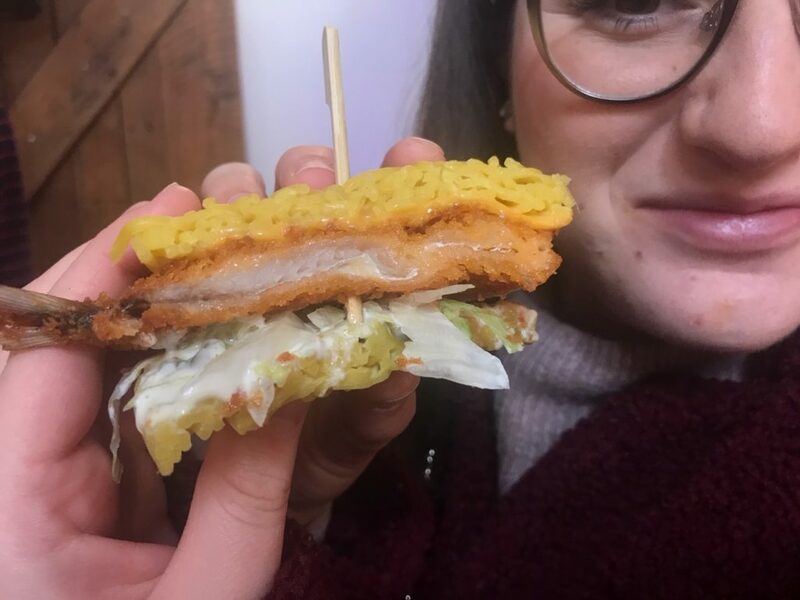 Fried fish on a ramen bun. Irresistible and Instagrammable. Paper Horse –Chef Erik Bruner Yang (founder of Maketto, Brothers & Sisters, and Toki Underground) served seductive Natto and Hot Mustard Ramen with quail eggs on the side. 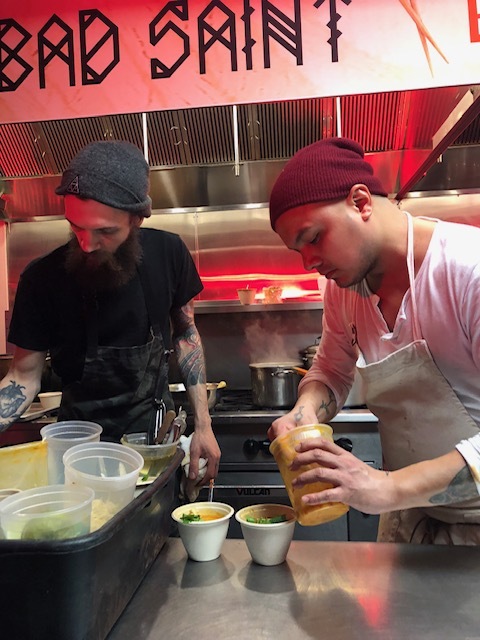 Congrats to Chef Bruner-Yang for being a 2019 James Beard Best Chef: Mid Atlantic Semi-Finalist, Brothers & Sisters and Best New Restaurant, Spoken English! 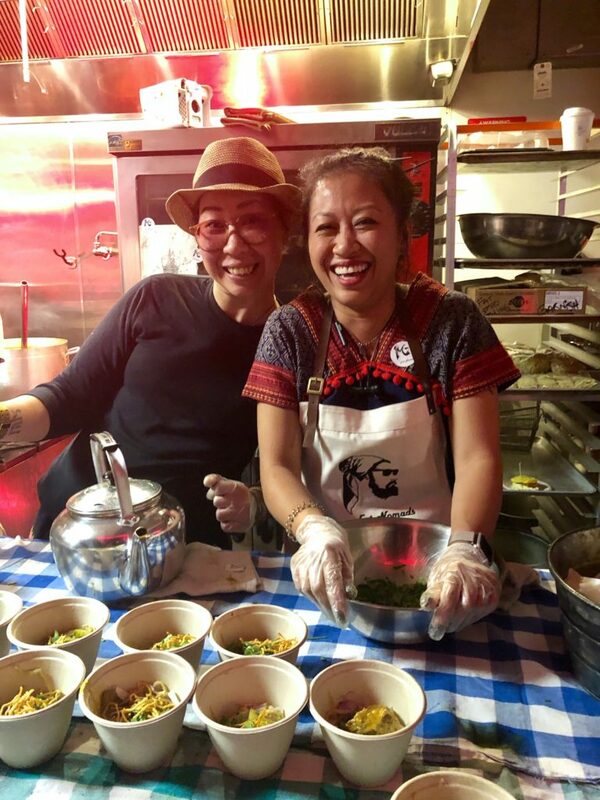 Fat Nomads – Another newbie to Ramen World, this exuberant group served Lanna Khao Soi- coconut-ginger curry, braised fore shanks, kayin chili, pickled mustard, coriander and shallots. Fat Nomads is currently a pop-up supper club, but they announced that a permanent location will be coming soon. 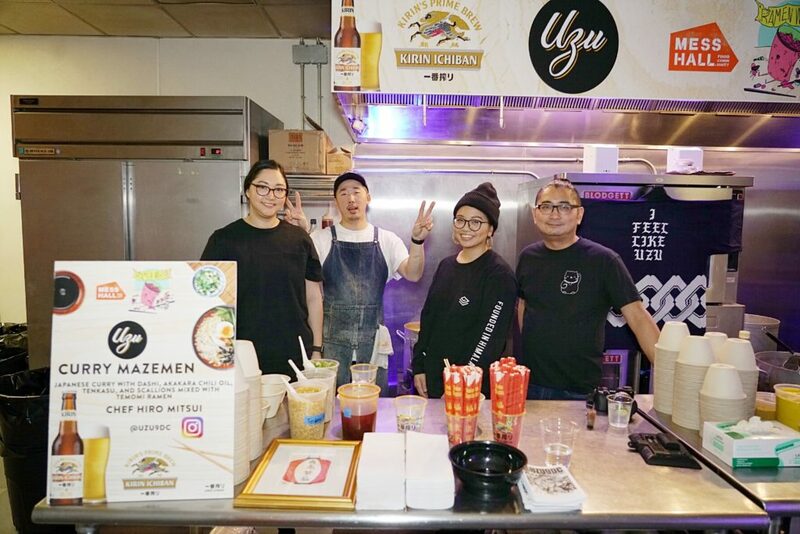 UZU – Chef Hiroaki Mitsui offered up a comforting bowl of Japanese curry mazemen with dashi, akakara chili oil, tenkasu, and scallions with temomi ramen. PhoWheels – Chef Huy Nguyen’s food truck, stationed just outside of Mess Hall, was another crowd favorite with their bacon + egg Mi Goreng. The dish featured temomi ramen noodles, 24 hour sous-vide fried bacon, and salt cured egg yolk. Momo Yakitori – Chef Andrew Chiou provided a break from ramen with his addictive charcoal-toasted marshmallow with black sesame buttercream. Yes, I did go back for seconds. 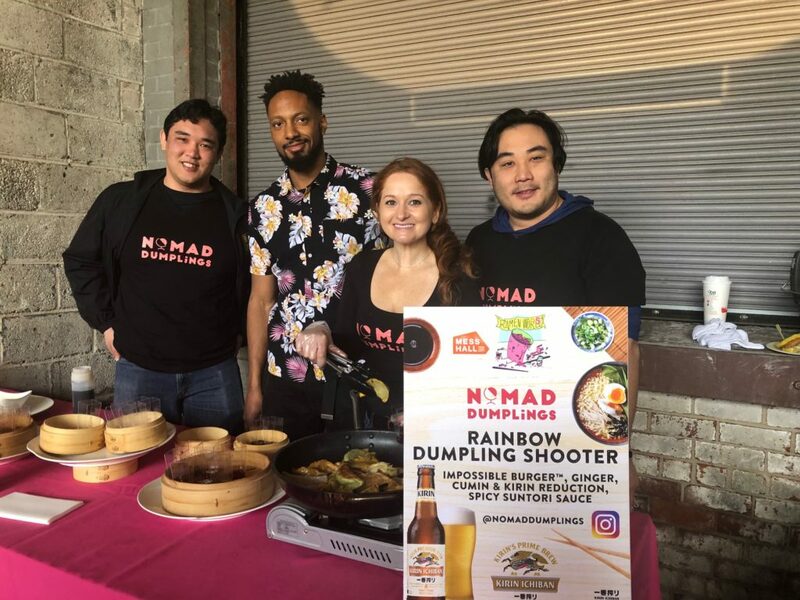 NOMAD DUMPLINGS – Mess Hall Member Karen Hoefener and her team offered up Rainbow Dumpling Shooters made with Impossible Burger, ginger, cumin and kirin reduction, spicy suntori sauce and a perky shot of booze. Matsukawaya – This Japanese confectionary offered a gorgeous array of wagashi sweets, which are traditionally served with green tea. The things you learn when you browse Instagram post-event. 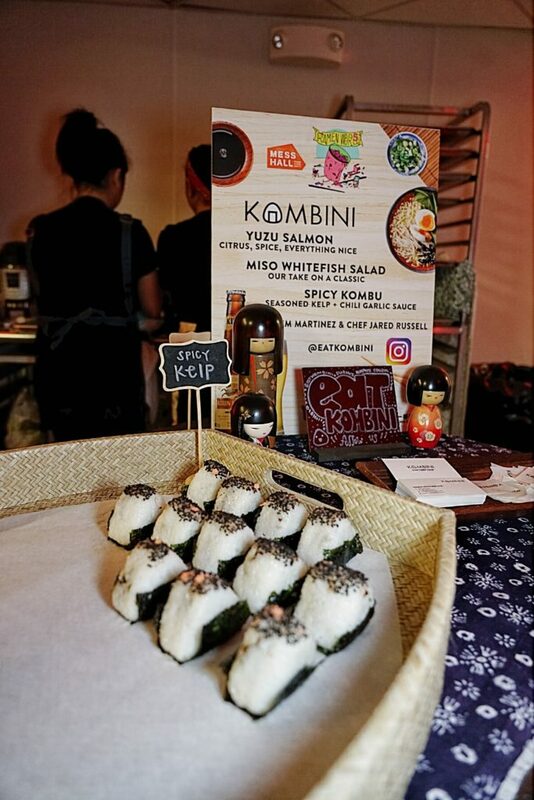 Kombini – Mess Hall’s newest members served their modern twist on traditional onigiri snacks – Yuzu Salmon, Miso Whitefish Salad, and Spicy Kombu. Adult beverages were provided by Kirin Ichiban along with craft cocktails featuring Suntory Spirits and Pratt Standard Syrups made at Mess Hall. If any event is the opposite of a snooze fest, it’s Ramen World. Although if you’re like me, you’ll definitely require a nap at the end of the day. 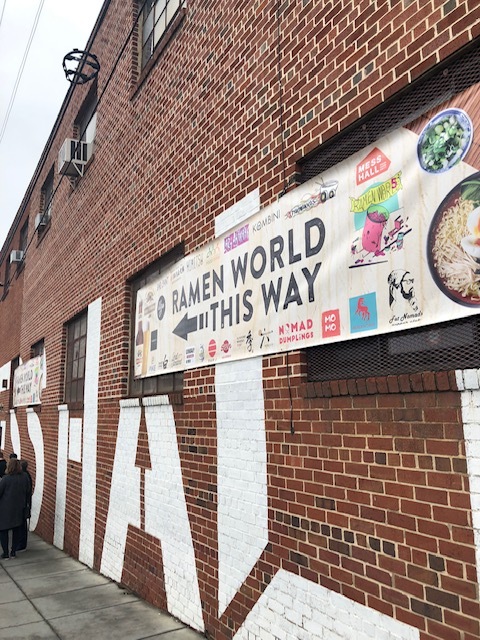 Look for next year’s Ramen World to be held in February 2020 at Mess Hall.